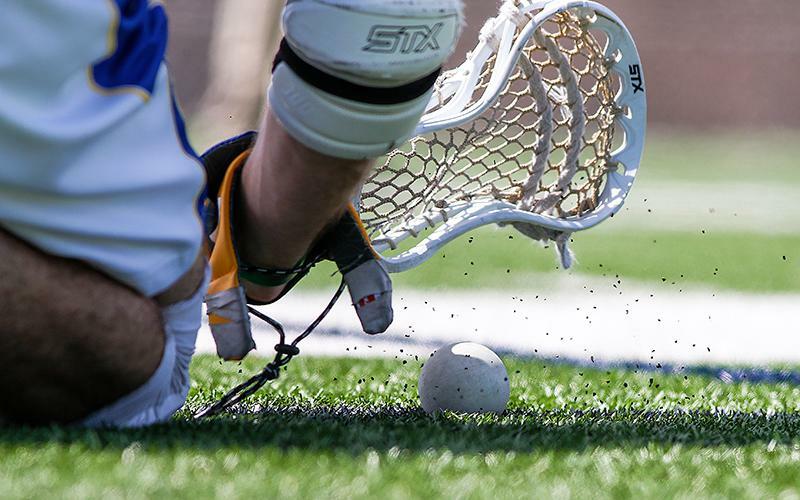 Spencer Sande, Holy Angels: The senior midfielder scored four goals and added an assist to lead Holy Angels to a 12-7 victory over Eastview on May 5. The Stars are off to a 7-0 start, the best in program history. Elias Clusiau, Elk River/Zimmerman: Clusiau tallied four goals and four assists in a 12-3 victory over Andover on April 30. He finished the week with 13 points in the Elks’ three wins. Walker Nelson, Owatonna: Nelson led Owatonna to a program-record for team goals in game in a 29-1 demolition of Brainerd on May 5. He scored six times and added three assists. On April 30, the senior displayed his playmaking abilities in the Huskies’ 19-5 win over Rochester John Marshall/Lourdes, as he dished five assists and scored once. Parker Woolf, Chanhassen: Woolf stopped 21 of 25 shots in the Storm’s 14-4 win over Bloomington Jefferson. He leads the state in saves (111) and save percentage (.760). Mitchell Durst, Delano/Rockford: Durst, a Detroit-Mercer commit, displayed his Division I talent in a 12-9 win over Buffalo on April 30. He scored five goals and dished four assists for nine points. Eli Schaffer, Hastings: The senior attackman netted eight goals and added three assists for 11 points in the Raiders’ 20-8 win over Hill-Murray on April 30. He added another four points in a 20-1 win over North St. Paul on May 2. Isaac Peifer, Eagan: Peifer ignited Eagan’s offense with five goals and seven assists in a 26-3 throttling of Shakopee on May 1. Two days later, he finished with four goals and two assists in a 16-4 dismantling of Rosemount. Joey Faulds, Champlin Park: After tallying just three points through two games to start the season, Faulds found his form in a 13-8 win over Grand Rapids. He scored four times and assisted on another three goals. Ryley Zopfi, St. Michael-Albertville: The senior posted back-to-back three-goal games for the Knights. The first came against Rocori on April 30 and the second was three days later when he also had four assists against Rogers on May 3. Matthew Moreland, Park of Cottage Grove: Moreland fueled the Wolfpack to a 17-1 victory against Tartan on May 3, as he scored three goals and finished with six assists.